Big announcements from XSEED and Marvelous!! Fate/Extella Link and other titles are coming soon!! The Curse Knight returns to Soul Calibur VI!! My Hero Academia+Avengers: Infinity War = Awesome Collab!! With the intergalactic warlord Thanos coming to Earth in search of the Infinity Stone, the Avengers can use all the help they can get. 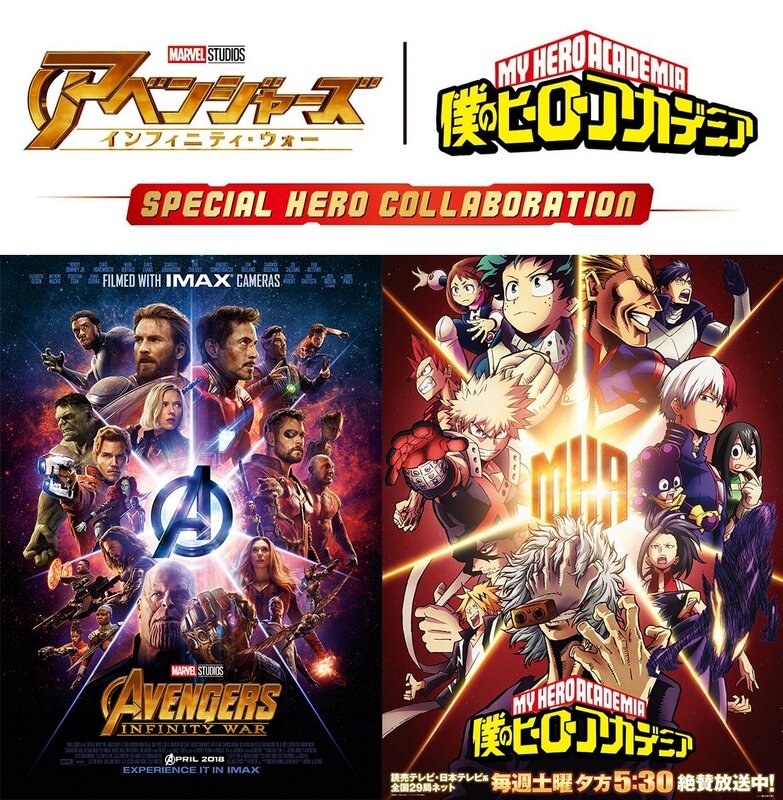 The heroes of My Hero Academia help promote Marvel Studios’ Avengers: Infinity War, the 19th film in the Marvel Cinematic Universe, by appearing in seven special collaboration PVs to introduce characters and attractions of the incredibly successful superhero franchise. Above you already see the poster, drawn by the anime’s character designer Yoshihiko Umakoshi, featuring the main cast of My Hero Acadamia alongside the official poster for Infinity War. More can be seen by clicking the link below. Check out these videos of Deku and the rest of the students from Class 1-A introducing Avengers members. Avengers: Infinity War hits theatres April 27.